Are you getting married this winter? Do you love your skiing? 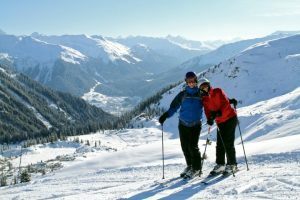 Have you thought about a skiing honeymoon? There can be no more romantic getaway than Klosters. 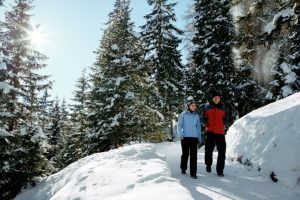 Set in the the heart of the beautiful Prattigau Valley this charming and traditional Swiss village is the perfect destination for a newly married couple. Wonderful skiing, cosy mountain restaurants, log fires and candlelit dinners in rustic restaurants are just some of the ingredients that will make this precious time together so special. PT Ski with its intimate knowledge of the resort will take care of all the arrangements making this part of the wedding planning easy and straightforward. PT Ski will put together a honeymoon you will always treasure. What could be more lovely than staying in the traditional Chesa Grischna, winner of the Best Swiss Boutique Hotel 2013, with its beautiful carvings, murals and fabrics. You can go out to dinner by horse and sleigh to intimate Alpine restaurants and go for romantic walks amongst snow covered trees. Relaxation and tranquility after all the excitement of your wedding can be found in the spa and wellness areas of the Hotel Vereina or Piz Buin while up the mountain you can ski some of the most beautiful runs in Europe and have lunch at little secluded mountain restaurants. Call us now on 02077365557 and start planning this very special holiday. As well as the Chesa Grischuna we can recommend other hotels should you be looking for something different (eg the newly refurbished Alpine Chic rooms at the Hotel Piz Buin are completely stunning!). With our detailed knowledge of Klosters we can also suggest the nicest restaurants to go out to and give you other ideas to make this a truly amazing time away.